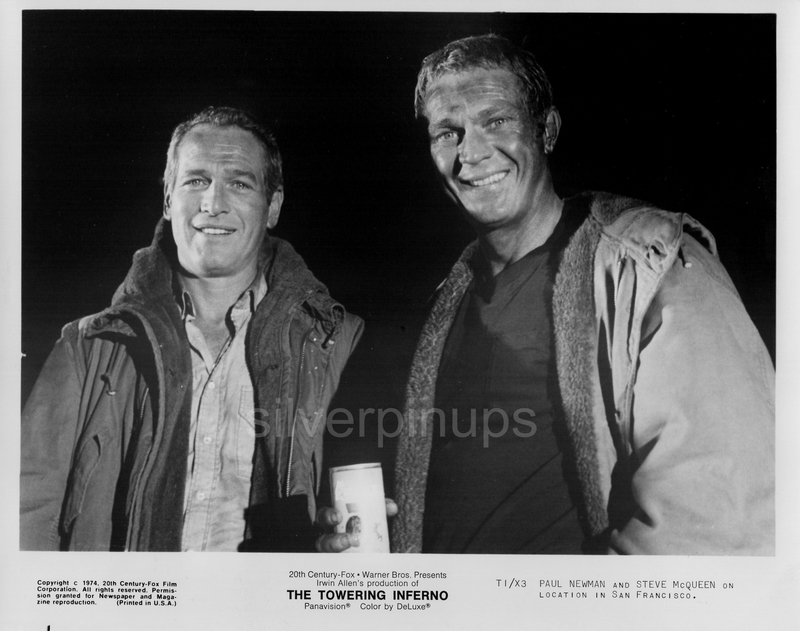 This is an original circa 1974, 8 x 10 inch publicity portrait of co-stars, PAUL NEWMAN and STEVE McQUEEN sharing a smile between scenes while filming on-location in San Francisco for Irwin Allen’s disaster film, “THE TOWERING INFERNO”. 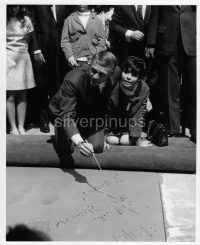 The film earned a nomination for the Academy Award for Best Picture and was the highest grossing film released in 1974. The film was nominated for eight Oscars winning three for Best Original Song (We May Never Love Like This Again), Best Film Editing and Best Cinematography. In addition to McQueen and Newman the film featured an all-star cast including, William Holden, Faye Dunaway, Susan Blakely, Richard Chamberlain, O.J. 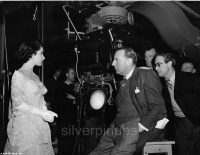 Simpson, Robert Vaughn, Robert Wagner, Susan Flannery, Gregory Sierra, Dabney Coleman and in her final film, Jennifer Jones. The photo is in EXCELLENT condition. I do combine shipping on multiple items. Shipping in Canada and the USA is 12.00. (I take my packaging and shipping very seriously, see my feedback) I will also ship Internationally, Tracked Packet-International for 40.00. Payment is due within 7 days of auction ending.